260,000 eligible voters could be blocked from the polls by the new law. I thought of my grandmother, who passed away in 2005 at 99, when the Iowa Legislature passed a strict voter-ID law today. She didn’t have a driver’s license because she never drove (she’d frequently walk two miles from her apartment to the grocery store). Her passport expired long ago. She never had a US birth certificate because she was born in Poland and fled the Holocaust. She used her Medicare card as identification. She didn’t possess any of the forms of government-issued photo identification that Iowa will soon require to vote. 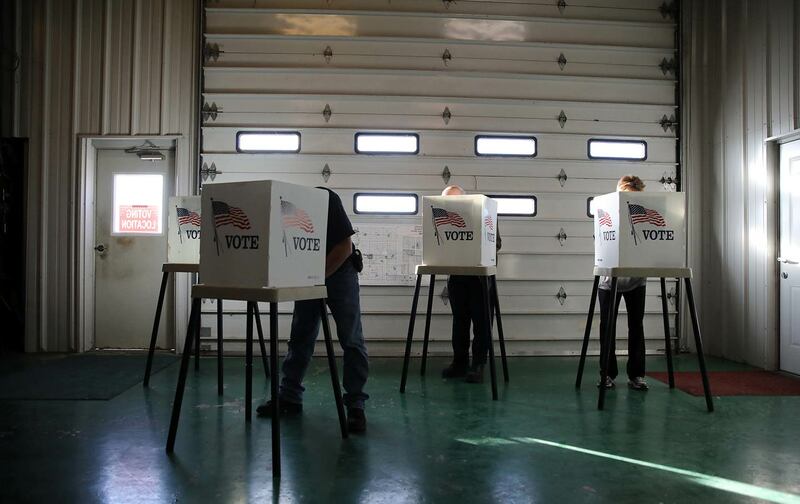 The ACLU of Iowa reports that 11 percent of eligible Iowa voters—260,000 people—don’t have a driver’s license or non-operator ID, according to the US Census and the Iowa Department of Transportation, and could be disenfranchised by the bill. My grandmother, if she were still alive today, would have been one of them. Yet Iowa Republicans, who now control state government for the first time in two decades, say the law is necessary to combat the “perception” of fraud—a perception created by Republicans who alleged for a decade without evidence that such fraud was widespread. “It is true that there isn’t widespread voter fraud,” State Representative Ken Rizer told The New York Times. “But there is a perception that the system can be cheated. That’s one of the reasons for doing this.” The fact that Republicans are pointing to the mere “perception” of fraud as a reason to disenfranchise thousands of voters shows why Trump’s baseless assertions that millions are voting illegally is so damaging. Secretary Pate says no one will be disenfranchised by the law because the state will mail new ID cards to the 85,000 active registered voters without one. But that doesn’t include the much larger number of eligible voters, 260,000, who don’t have strict voter ID. Not to mention the 57,000 out-of-state students who might not be able to vote because student IDs aren’t accepted. Or the fact that Iowa will spend at least $1 million implementing the new law at a time when there’s a $118 million budget shortfall in the state. Iowa, which went for Obama twice before Trump, is one of the first states in 2017 to pass a new law making it harder to vote, but it likely won’t be the last. So far in 2017, 87 bills have been introduced in 29 states to restrict access to the ballot, according to the Brennan Center for Justice. (And that’s on top of the 21 states that already passed new voting restrictions since 2010.) Arkansas recently passed a new voter-ID law, similar to the one that was unanimously struck down the Arkansas Supreme Court in 2014. New Hampshire has tightened residency requirements for those using same-day registration and even proposed that local police would knock on doors to verify addresses. Georgia is now requiring that information on voter-registration forms exactly match state databases or ballots might not be counted. My grandmother never owned a gun, but she voted.